← Family Fun Night Was Awesome! In our sermon yesterday, the Holy Spirit challenged us from the Gospel of Mark with what Jesus said to the first disciples to leave all and follow Him. While it’s true that Jesus didn’t-and doesn’t-require everyone to leave their father and their occupation to follow Him, He does require absolute obedience and commitment. Rather than joyfully embracing His call, we have the self-serving tendency to water it down to be theoretical sacrifice and hypothetical abandonment. 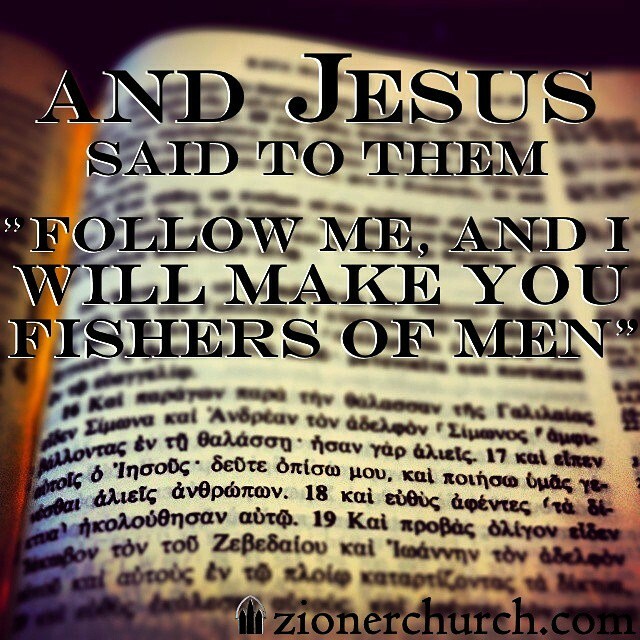 We want to follow a Jesus that doesn’t require anything of us. Jesus does not require the same kind of obedience from every one of His followers, but as Platt reminds us, He does require the same radical willingness to sacrifice and commitment to His kingdom. Has the Gospel gripped you to the extent that you are willing to leave everything for Him? May that be increasingly true of us at Zion! This entry was posted in article, resources and tagged articles, David Platt, discipleship, Mark 1, piety. Bookmark the permalink.